When it’s time to repaint your home in St. Petersburg, choosing a color may come easily to you. What isn’t always easy is selecting the finish you want your color to have. In the world of paint finishes, there are many different names but they all boil down to durability and luster. Flat. Also frequently referred to as matte, this sheen absorbs light and is very opaque. It’s most often used on interior walls and ceilings. Eggshell. This finish has a slight sheen and is great for high-traffic areas because it is long-lasting and easy to clean. Satin. Similar to eggshell, this has a more pearly finish and is resistant to dirt and stains. It has slightly more sheen than eggshell. Semi-gloss. This sheen reflects light and is more durable and easier to clean. It is also good for high moisture areas because of its mildew-resistance, which is perfect in humid St. Petersburg. High-gloss/shiny. This shiniest of finishes, this is often used for highlighting because it offers more vivid, rich, deep colors. Choose an area with minimal blemishes so as not to emphasize any flaws. In terms of composition, colors that are shinier contain more resin, while those that are less shiny contain more pigment. The higher the gloss, the more obvious any imperfections like dents, dings, or texture will appear, so it’s important to figure out exactly what kind of prep your surfaces need. Painting contractors are pros at priming and patching, so they can easily help you get your walls ready to go. Another great thing about calling in the professionals is that they are experienced with a variety of paints and know when to use certain rollers based on your paint type, surface, and desired final look. Based on the sheen you want, they’ll use thicker or thinner rollers and different brush strokes to get the perfect finish. No matter what step of the makeover process you’re in, painting contractors are the best advisors for your project. When they come to your house in St. Petersburg, they’ll be able to gauge the size of the area to be painted, and can suggest finishes based on the amount of sunlight the area receives. 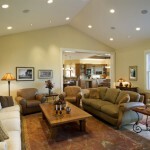 They will also take into account other furniture, lighting, and usage to determine what sheen is best for your surface. Once your painting contractors have helped you choose a finish, they’ll be able to help makeover your home in St. Petersburg. West Shore Painters has been helping area residents with their home improvement projects for 27 years, and we offer unwavering support and craftsmanship to our loyal customers. We are family-owned and operated, so we know how important it is to have a service that is efficient and effective. Give us a call today at 727-488-8058 for an estimate! Brennan Nelms is the painting divisions VP of operations. He oversees the work on job sites and is involved in most painting estimates. Brennan Nelms also hires painters and is in charge of customer service in St Pete, Clearwater and Tampa. © 2015 WestShore Painters Design by Strategic Media, Inc.